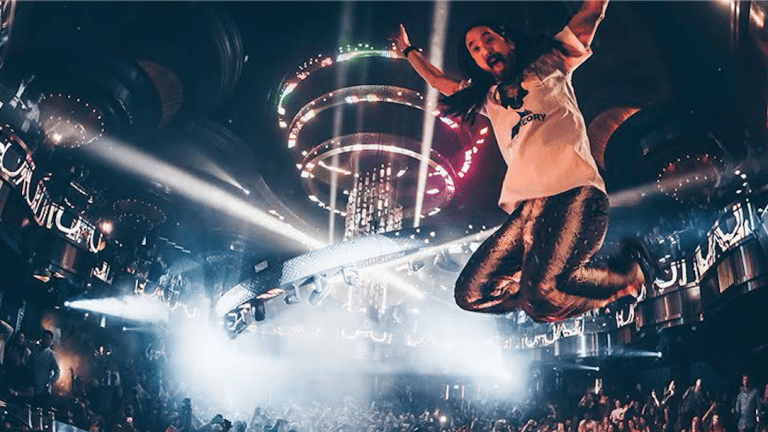 Between international collaborations, a Hakkasan residency, and running a fast-growing pizza chain, Steve Aoki has a lot on his plate (or pan, if you will). 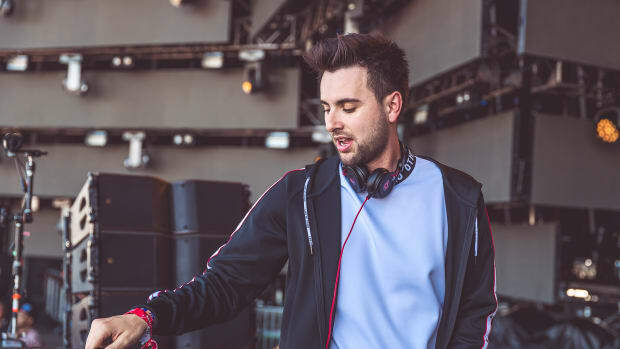 Fortunately for us, the superstar DJ/producer still managed to carve out some time for an EDM.com interview. As far as we&apos;re concerned, it was time well spent. In addition to hinting at what&apos;s lies ahead for the aforementioned topics, he also let it slip that a certain album will see a 2019 release. 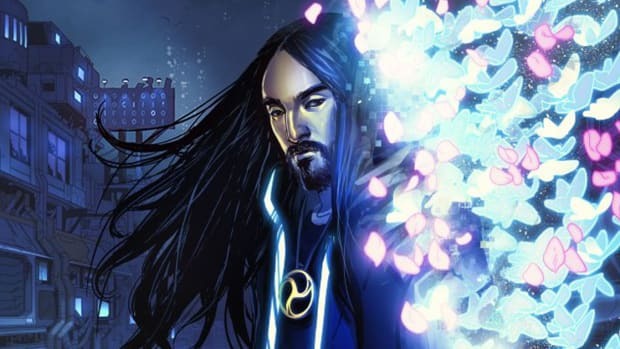 In addition, Steve Aoki delved into greater detail on what he strives for when remixing the works of other artists. 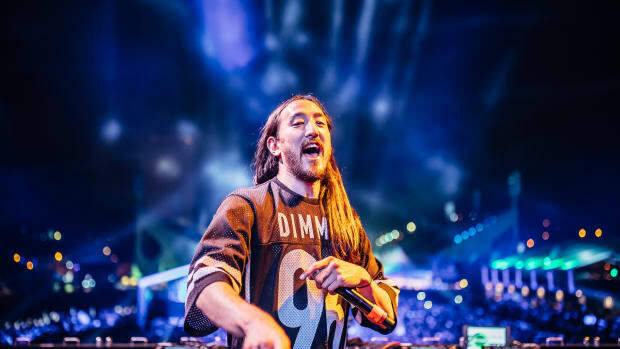 Read what he had to say below, and get tickets to one of his Hakkasan performances (or those of DJs like NGHTMRE, Borgeous, Party Favor, Loud Luxury and Lil Jon) here. EDM.com: I wanna talk about your BTS collab, “Waste It On Me.” Obviously, it’s an EDM collab featuring K-pop artists but it’s not K-pop itself. Have you thought about diving into that world more? 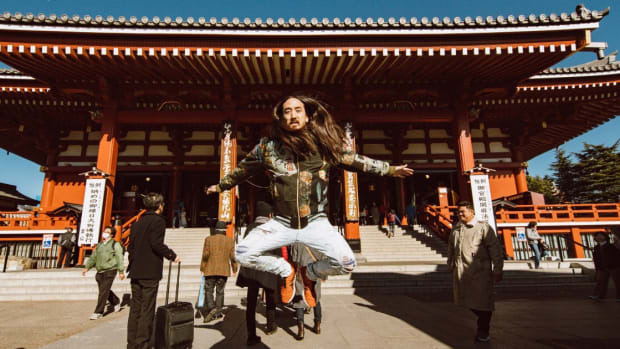 Steve Aoki: I definitely take influence from the K-pop genre for sure, because in order to work with a K-pop artist you need to meet them halfway so they can do their thing to your music. But to do a song that’s entirely a K-pop-stylized record, that’s a harder feat. That being said, in 2019 I’ll be releasing other songs with K-pop artists. I’m definitely a fan of the genre and a fan of the groups, and I’m in the studio working with other K-pop artists on collabs that we’ll be dropping this year. Speaking of which, a couple days ago you and A$AP Ferg joined Lay from Exo onstage in Shanghai. Is he one of the artists with whom you’re collaborating? No; we’re talking and we’re friendly but it’s like the first date, just hanging out and being friendly. I definitely have tons of respect for what he does, and we vibed it out really well. That’s always the first step as far as collabing. Who knows, those things happen if they happen. You were just included in Hakkasan’s 2019 residency headliners, as you are every year. Are you looking forward to getting back in there again? Oh yeah. It’s my main residency and I live here. I basically moved to Las Vegas because it’s become such an important part of my life to be here for my residency. Hakkasan’s my favorite club in the world. OMNIA Nightclub, too. Hakkasan and OMNIA are the two superclubs I’ve been lucky enough to consistently play all the time, and the best part about it is that I know the club and it’s like my home, but the crowd changes every time I play. It’s like home turf with a new crowd and new energy. You can’t really ask for anything better. I love being part of the team and they’re incredible to work with, as I think the world knows now. It’s a great experience for everyone that comes. Do you have anything special planned to raise the bar this year? Is it just gonna be more cake, more crazy dancing, and pushing the “play” button extra, extra hard - or are you planning to reinvent the wheel in some way? Actually, you know in Vegas I don’t do the cake and I do other stuff that’s exclusive to the show here. I build these fun, little contraptions that I shoot in the air that look unique to the Neon Future show. We’re working on some really cool stuff together, so I don’t wanna give away something that I’m building out for 2019 but I am trying to do something that’s exclusive to the Las Vegas experience. 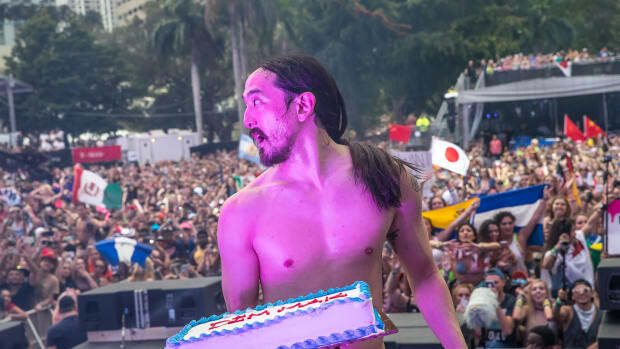 At a festival show you get the cake and all that stuff that you’d see on YouTube at one of my shows, but in Vegas it’s a different experience entirely. We’re building something out for this year that’s gonna be unique and different. Let’s shift gears and talk about Pizzaoki. Last week you announced the chain’s first physical location. What made you decide to expand on the delivery-only model? When we started this business, the whole idea was like we were streaming pizzas. It’s kinda’ like how when the world stopped downloading music, they started streaming it. We just wanted to jump the gun on the way people eat food. We decided that if we were gonna do a pizza delivery system, we should just cut out the brick and mortar and make it specifically delivery, but because of the success we said, “Well, we have one storefront opportunity and we’re doing really, really well as a business, so we should at least have one.” I guess it broke the model of what Pizzaoki was, but I think it makes sense to at least have a few brick-and-mortar locations. Do you find it interesting at all that you’ve gone full circle and now you’re in the restaurant business just like your father, who founded the chain Benihana? Yeah, you know you don’t realize it until you’re in it but it is kinda’ funny when you put it that way. I still don’t think of myself as being in the restaurant business, but here we are talking about Pizzaoki. It is a very strange irony. I never thought I was gonna do that, but life is a very strange journey so here we are (laughs). Your remix of “Feeling Of Falling” by Cheat Codes had some definite hints of Melbourne bounce. What made you decide to take it in that direction? I wanted to make this remix something where it’s all about the drop because that’s how you identify the remix that you like. When I listen to the remix I speed up to the drop to decide if it’s something I wanna play. 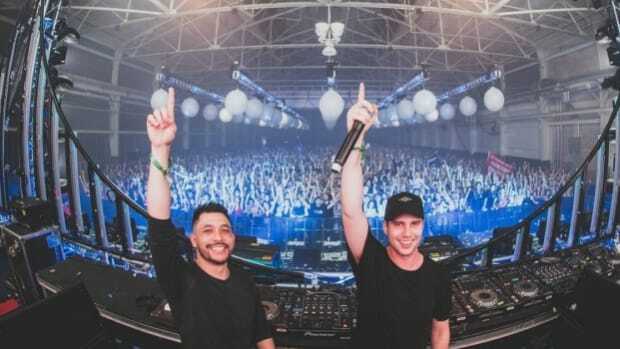 I wanted to make a drop that was for a club, and you’ve got that Melbourne bounce because just like anything at a festival the most important thing you wanna do as a DJ is make the crowd jump up and down. If you can get them jumping and bouncing you’re presumably doing a good job. I have the first drop with that bounce, and then I wanted the second drop to be more progressive. Something with a great melody and a great sound. That way, I can attack both sides of what people like. In regards to upcoming music, you’ve said you’ve got some K-pop on the way but what else can you tell us about? Hmm, what can I announce? It’s too early, sometimes the best way to drop a record is just to drop it by surprise, so I don’t know if I can give away the next song I’m putting out. 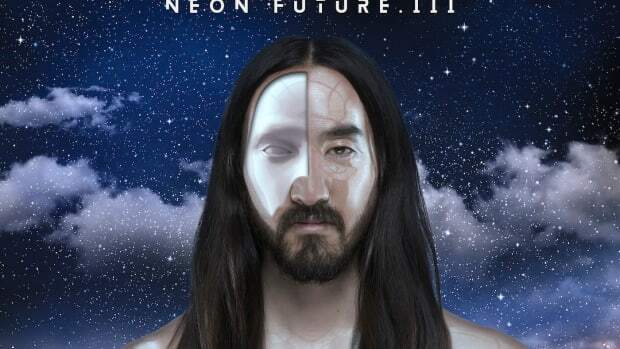 I can say that Neon Future IV will be my next album. It’s a continuation of Neon Future III and will be coming out in 2019. It’s another album of mega collaborations that I’ve been working on the past few years. II and III I kinda’ wrote together and I’m still finishing up IV. It’s all over the board with a lot of different genres, and I’m putting a lot more club bangers on this one. It comes out 2019 but I’ll be slicing off singles from the album very, very soon - like next month or March. 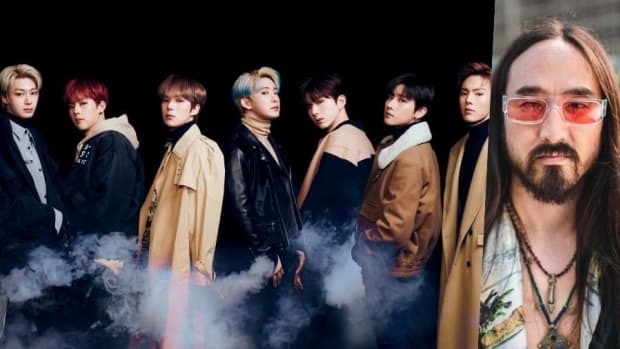 Steve Aoki and MONSTA X to Release English Version of "Play It Cool"
Steve Aoki's latest collaboration with a K-pop group is getting adapted for Western audiences.